RPC M&H Plastics offers unrivalled and award winning expertise in developing packaging solutions for markets where quality and style are critical to a product's success. Packaging is at the heart of all that we do. RPC M&H Plastics is part of the M&H Division. Headquartered at Beccles, The Division comprises 13 production facilities across the UK, Mainland Europe, America and Australia, providing packaging solutions for local, regional and global market leaders in Personal Care, Healthcare, Food & Beverage, Household and Commercial. Award-winning and flexible one-stop shop for Design, Development, Tooling, Injection Stretch Blow Moulding, Extrusion Blow Moulding, Barrier Blow Moulding, Injection Moulding, Injection Blow Moulding, Decoration, Printing and Blocking for Bottles, Jars, Tubes, Closures, Dispensing Systems & Fitments. Over 5,000 standards and custom packaging produced to BRC standards. RPC M&H Plastics has over 40 years' experience of delivering high-quality packaging solutions and practises continuing process innovation to provide optimum safety, security and integrity of the product. Quality control is at the heart of all our products. For more information, please visit www.mhplastics.com or call +44 (0)1502 715518. 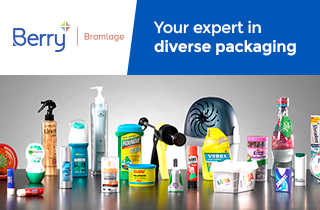 We provide packaging for global, regional and local brands in Personal Care, Healthcare, Commercial, Food & Beverage, Household, Pet Care, and Industrial Chemical markets. Our Customers have complete access to the comprehensive line of products and services offered by RPC M&H Plastics, including the ability to manufacture and decorate on site. RPC M&H Plastics is continually seeking alternative environmentally-responsive products, we believe that a small change can make a big difference and are continually striving towards a business that has minimal impact on the environment.